PT. 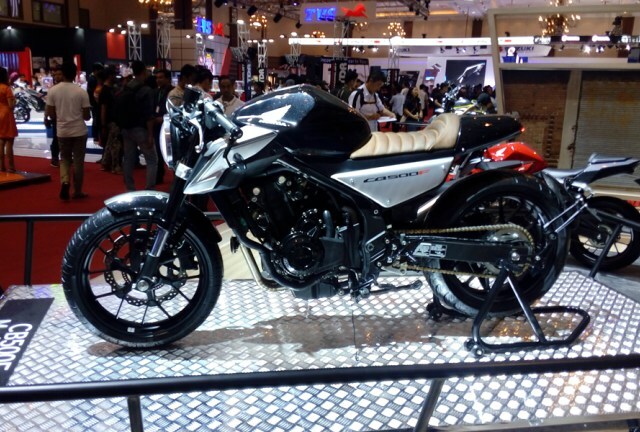 Astra Honda Motor (AHM) is also displayed several modified motorcycles in the exhibition of Indonesia Motorcycle Show (IMOS) 2016. At least three motorcycles that have been shown, which is a type of sport CB500F and Vario 150 scooter and Beat. 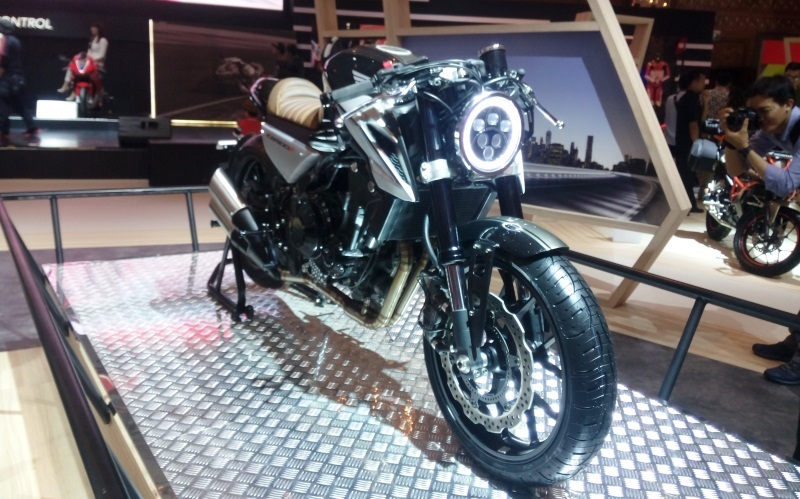 Of the three, the motorcycle with the most striking appearance at the Honda booth is CB500F. With the concept of Techno café racer, Honda entrust the process to two Jakarta-based workshops, ie Baru Motor Sport (BMS) to modify the motorcycle and Tomi Airbrush to paint the whole body. The café racer style is identical to a typical seat. The back is curved and used clamp handlebar like the racing motorcycle bygone era, that also applied to the Honda sport bike. In order to reinforce the concept that it has, then also some custom devices embedded in the body such as the back frame, rear body plate, front fender plate, side body plate, leather upholstery, and double muffler. Although the concept of the old bike but touches on this bike was more modern. It looks at the headlights already use LEDs, Termignoni speedometer, LED taillights, upside down suspension taken of the CBR1000RR, and so on. However, there is no change in the engine that still rely on a 4 stroke, 8 valve engine with a capacity of 471 cc, which is capable of producing the power up to 35 kW at 8,500 rpm and peak torque of 43 nm at 7,000 rpm. Those power is channeled to the rear wheels via a six-speed manual transmission.